I have exciting news! 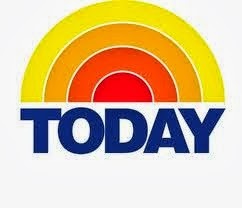 On Monday, October 21, I will be on the Today Show. I was chosen to compete with two others in a, "Too Good To Be Healthy Chili Contest", with Joy Bauer. I entered my recipe for "Really Good Green Chicken Chili". It's healthy and easy because I use a food processor to chop all the peppers, onions, garlic and tomatillos and use a rotisserie chicken. I will post the recipe when I get back on Tuesday. Hopefully I'll post some pictures of my experience too! I'm asked a lot about how I hear about these contest I enter. Well, it's an amazing web side called Cooking Contest Central. CCC is a hub for anyone passionate about food, who is interested in entering cooking/recipe contest. A membership to CCC is $25.00 a year and it provides me with information on the latest contests, as well as tips for entering and community support. I joined after I had heard from all my Pillsbury Bake-Off friends who are also members. 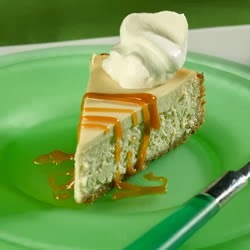 I'm having fun entering these contest and so far I'm a two time finalist in the Pillsbury Bake-Off, made the finals with my Caramel Macchiato Cheese Cake (but only won a coffee cup!) and now I'm on my way to New York to be on the Today Show. How cool is that! Wish me luck! Wat a food guide is this!!! Thanks for this variety recipe.